Christopher Demaline is a professor at Central Arizona College. He has taught accounting for more than 10 years. 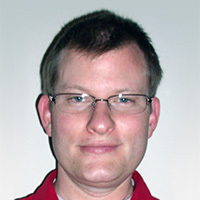 Chris has authored several accounting-related online courses and supplemental course materials. In addition, he has written several questions for the Certified Management Accounting exam. Chris also provides business start-up and business valuation consulting services. Chris’ formal education includes an MBA from Grand Canyon University (Ken Blanchard College of Business), as well as a Graduate Certificate in business valuation from Indiana University (Kelley School of Business) and a Graduate Certificate in forensic accounting from Northeastern University. He also holds the CPA, CMA and CFE credentials. Chris resides in the Phoenix metropolitan area with his wife and son. During his free time, he enjoys hiking in the Superstition Mountains.